Anisha Ghosh (Paul) is a Junior Research Fellow (state) in the department of English, University of Bengal, India. She is working on Nigerian Literature for her PhD dissertation. She is the review editor of two peer-reviewed journals Writers Editors Critics (WEC) and International Journal of Multicultural Literature (IJML) and is a life member of the Guild of Indian English Writers Editors Critics (GIEWEC). 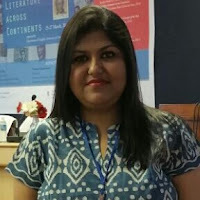 She has published several research articles, book reviews and poems in reputed peer-reviewed literary journals and has presented many research papers at national and international level seminars and conferences. Before getting into full-time research work Ghosh used to teach English honours at A. B. N. Seal College and Gyan Jyoti College. Ghosh lives in Siliguri, West Bengal.